I finally let curiosity get the best of me and I bought Garnier’s BB Cream. BB cream is basically a tinted moisturizer that also fades blemishes, fine lines, and a bunch of other things. For more detailed information click here to read my previous post on BB cream. I bought the medium/deep shade and it matches my skin perfectly. Anyone that has tan or olive skin should have success with this shade. However this is the darkest shade Garnier makes. I’m disappointed that Garnier didn’t have the foresight to create a product that all women can use. What about all of the beautiful Mocha ladies out there that would like to use this product? I’m hoping if this product is as successful as I think it will be for them, Garnier will come out with atleast three or four more shades. I hate to get all political in a review but in this day and age creating a beauty product that excludes most women of color is simply unacceptable. Okay rant over or I’ll return this based on principles alone. This product is a little thicker than I expected and goes on smooth and dewy. I know some people found the smell overwhelming but this didn’t bother me. After a few minutes, once it dries the smell is not noticeable. The smell isn’t bad but is a little strong at first. 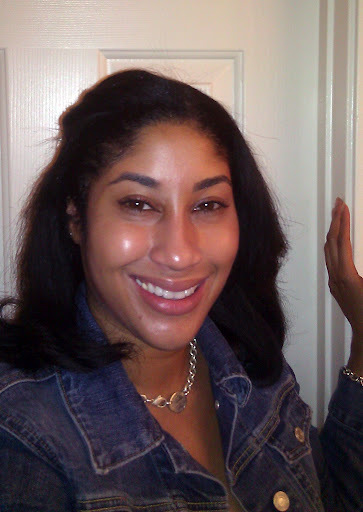 My skin felt pretty soft and silky and most of my blemishes were covered. I am blessed to naturally have pretty clear skin so I don’t have alot to cover. I do have little red veins under my right nostril that I hate. This did a pretty good job of covering them up but I would still dab a little bit of Purminerals foundation there to get the kind of coverage I like. This definitely provides enough coverage for me to wear alone but on break out days or if you struggle with acne, I’d recommend dusting on some powder on top for extra coverage. 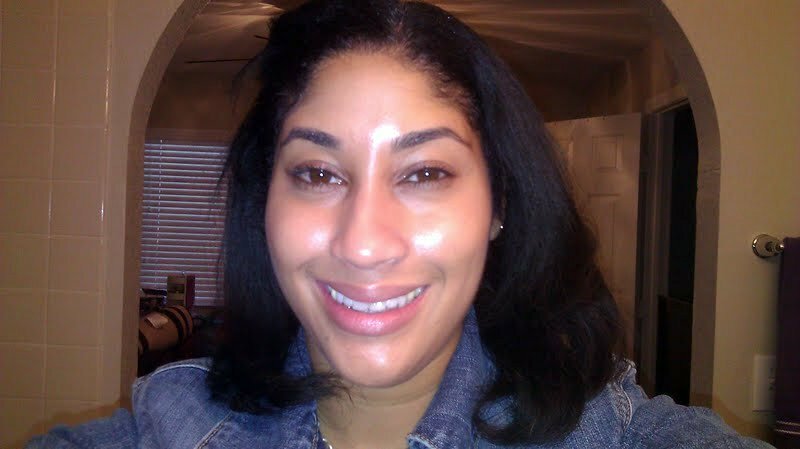 Here are my after pictures, I just have on the BB Cream and nothing else so you can see the difference. 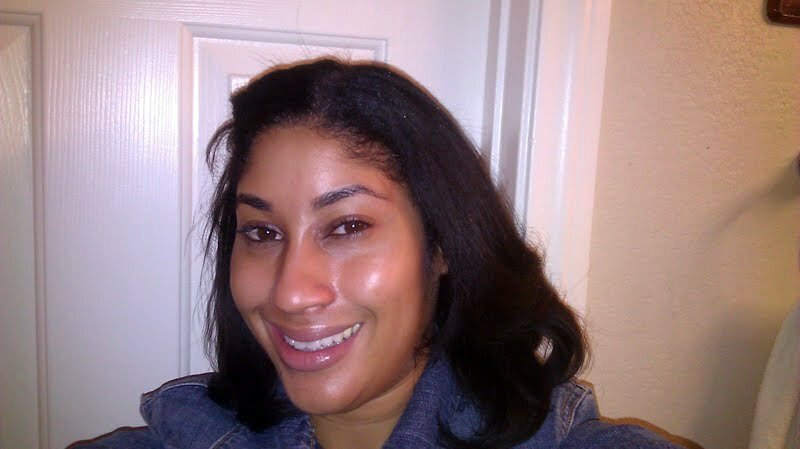 As you can see my skin looks more even and even bit matte but still has a healthy little glow. I’ve heard you are supposed to wait 30 minutes to get the full effect. I had to get to work so I unfortunately couldn’t wait that long before taking my pictures. My verdict is that this product is a keeper, most BB creams are between $25-$40. I paid about $13.00 at Walgreens. They were having a buy one get one half off on Garnier products, so I also get some wipes which came to $3.00 since they were half off. I plan on using this alone on the weekends and with my Purminerals 4-in-1 foundations during the week. Since it has SPF 15, this could essentially replace your day cream too. 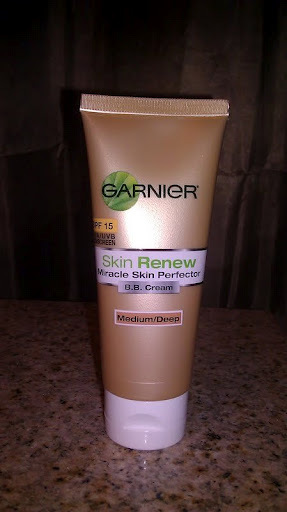 What do you think of Garnier’s BB Cream? Update: I have since returned Garnier’s BB Cream back to Walgreen’s. After using it for a few more days, I realized I just wasn’t impressed with this product. It did what it claimed for the most part but there was just something about it I didn’t love.